TOKYO (Reuters) - Japanese Transport Minister Akihiro Ohta said on Friday his ministry was considering whether to revise existing laws to beef up oversight of auto parts suppliers in the wake of massive recalls of auto parts maker Takata Corp's air bags. "Until now, we have been getting reports from automakers but since this is a major issue with great impact I would like to consider whether we need to revise the vehicle law or not," Ohta told reporters at a regular briefing on Friday. The spate of Takata-related recalls - more than 20 million cars have been recalled worldwide over faulty air bags - has brought regulatory oversight under scrutiny both in the United States and Japan. Under current rules, Japan's auto regulator relies heavily on automakers to initiate investigation of any problems at their parts suppliers, while legal provisions prevent the transport ministry from investigating the supplier directly. 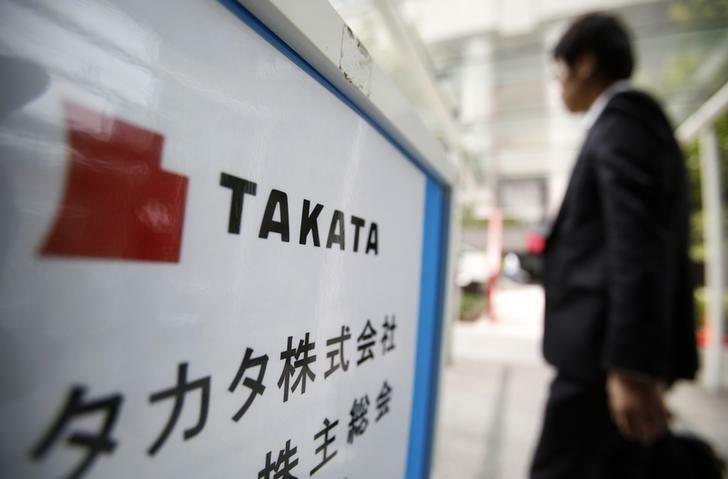 Ohta said ministry officials have daily meetings to deal with developments in the Takata air bag recalls. But he noted that critics have complained that Takata had not provided enough information to regulators on the issue. The Nikkei reported earlier on Friday that a planned legal revision would make it mandatory for parts suppliers like Takata to report glitches or defects to the regulator. The ministry has already begun discussions with industry groups and plans to seek cabinet approval for the revised act by mid-March, the paper said. Officials stepped up their efforts to deal with the air bag fallout last year after Takata and executives of major automakers were called to testify in U.S. Congress. Japan has set up a special task force to speed up collection of potentially defective air bags.